It’s been five years since the events of Taco Tuesday and everything is no longer awesome. An alien invasion from the planet DUPLO has left Bricksburg in ruins. Those who survived have had to change to live in the new world, everyone is tougher, harder, nastier…apart from one construction worker. When Emmet’s friends are kidnapped by General Mayhem of the Sis-Star System, our yellow-vested hero must head into the unknown alone, beyond the Stair Gate portal, to rescue them. Along the way, he meets Rex Dangervest, a hardened space adventurer with a knack for taming raptors. Together, the Chris Pratt infused duo must track down and save the master-builders. 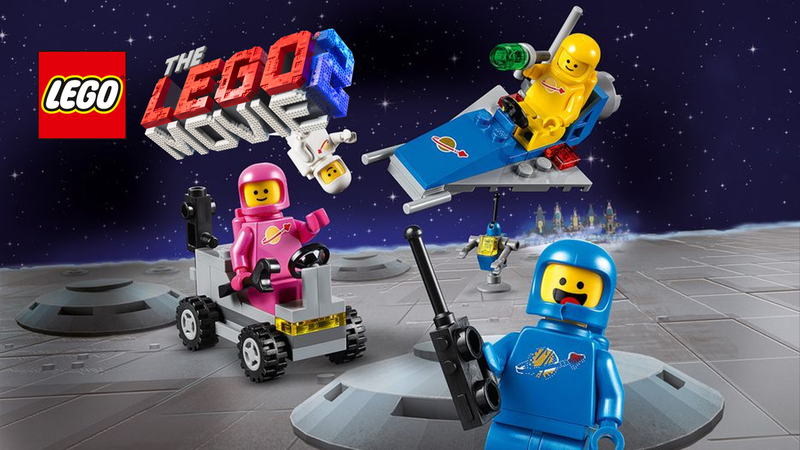 A sequel to The LEGO Movie was always going to be a tall ask, a movie that shocked us all not only by proving a huge hit across the globe but also by adding heart and soul to a story centered around plastic toys. 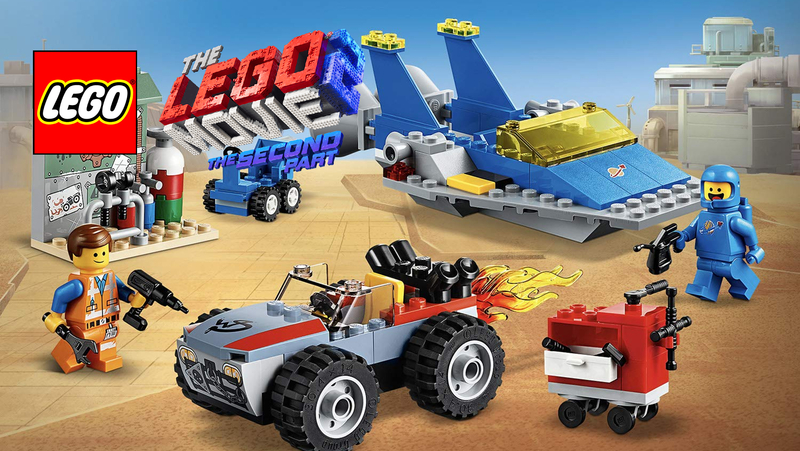 A movie based on a toy brand which had the toys as, well, toys, product codes and all – check out the master-build sequences, those are real piece numbers you’re seeing. What really made the original movie special, however, was the realisation right at the very end of the movie that this entire story was actually being played out in the imagination of an 8-year-old boy, with a simple message, colour outside the lines, build without the instructions, have fun and be creative, basically everything that LEGO stands for. 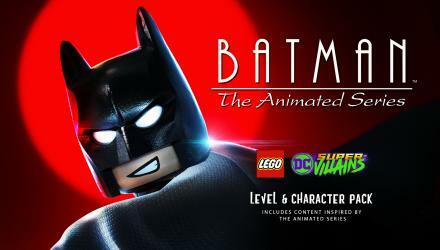 So five years on, and with two spin-offs in the bag, the LEGO Batman Movie and the LEGO Ninjago Movie – that latter of which does not get a mention – how do you recreate the impact of that first movie and those final scenes, when the cat is already out of the bag? It’s a question that was most-likely asked multiple times in endless pre-production meetings. 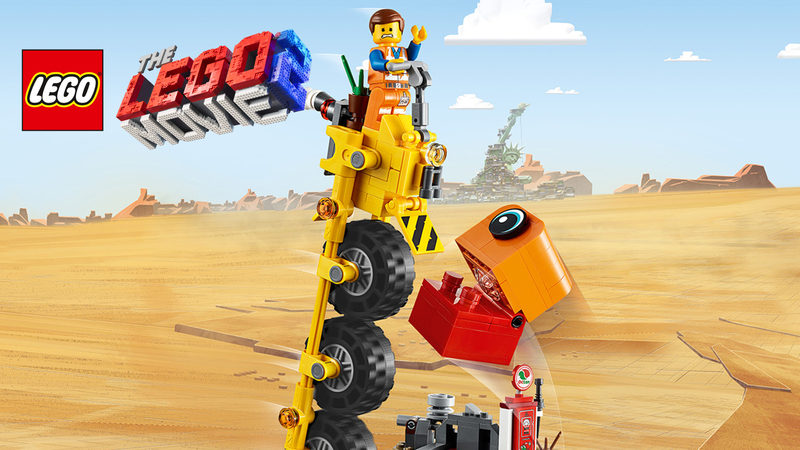 What we get is a story of sibling rivalry, a real-world narrative that pits a brother and sister against each other in a way that very few other toys could, LEGO appealing for both boys and girls of all ages. At the movie’s core, it’s the story about how an older brother struggles to cope with his younger sister’s new-found love for his beloved toy and his disapproval for her different creative approach to playing – think Cloud cuckoo land on a larger scale. Much like that revealing moment when we were first introduced to Will Ferrel’s Dad back in 2014, the LEGO Movie 2 only hints at the real world story for the most part and it’s through the references to non-LEGO relics that we learn what is actually happening, such as the ‘Bin of Store-Ahhge’. It’s subtle enough to remind the viewer that these outlandish worlds are being played out in the imaginations of the two children, while not taking anything away from the adventure story that Emmet and the gang find themselves on. 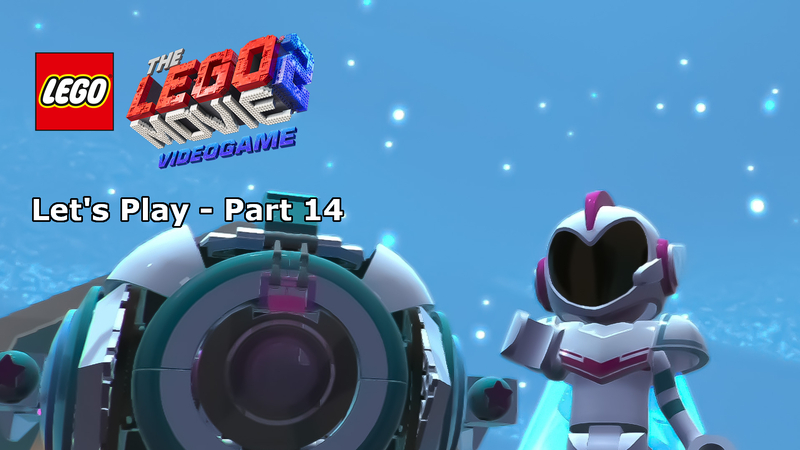 The bricked-up side of the adventure definitely raises the bar on whacky and weird, as the multi-verse of LEGO environments takes us out into the wider galaxy of madness. We’re introduced to a wave of new characters, many of which give Unikitty and Metal Beard a run for their money in terms of creative design. From a talking ice cream (Richard Ayoade) to Queen Watevra Wa’Nabi (Tiffany Haddish), the new extended cast of characters all bring value to an already stellar group. The stand-out newbie, however, is Chris Pratt’s Rex Dangervest, though this might just be down to my love of self-deprecating humour. A character comprised of Pratt’s most famous roles in Hollywood, he leads the way with the pop-culture references and the Guardians of the Galaxy actor is clearly loving every minute of it. 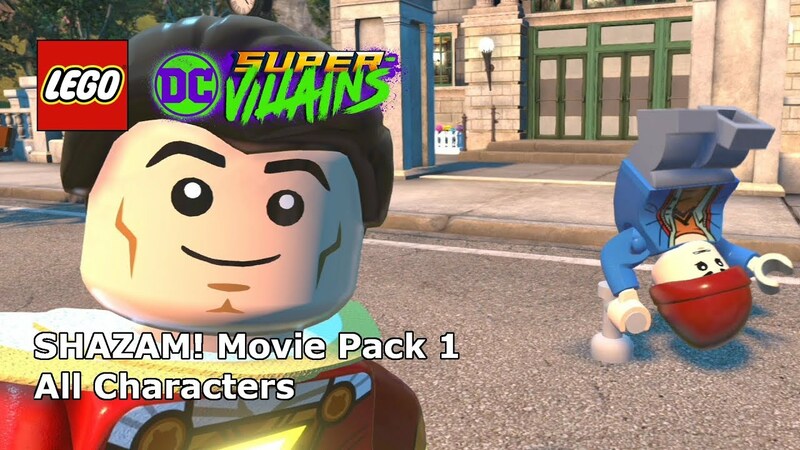 The nods to other movie powerhouses doesn’t stop with Pratt’s career, however, with a number of effortless throw-in jokes throughout, some coming from movie franchises that don’t currently have official LEGO themes (though need to), and of course, poor classic Aquaman has been replaced with a more familiar bearded version of character. Much like its predecessor, this is a fast-paced story, set across multiple stunningly creative environments and leaving little time before jumping into the next action-packed bricked-up scene. 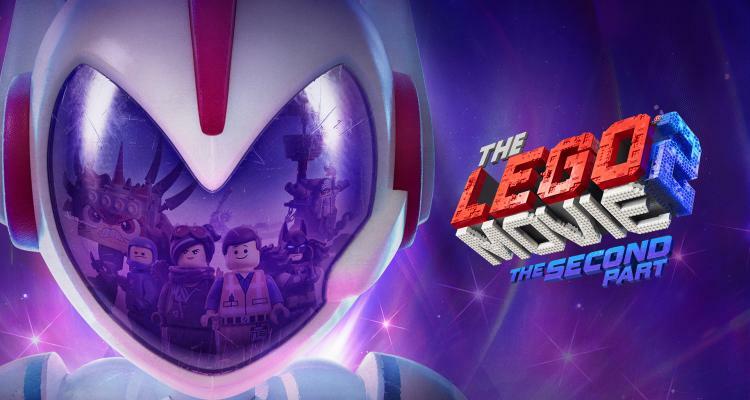 For the most part this only benefits the hectic narrative that we’ve come to expect from the LEGO Movie franchise, but the third act does feel a bit rushed as a result, leading to a far less dramatic conclusion than the story is clearly building towards. 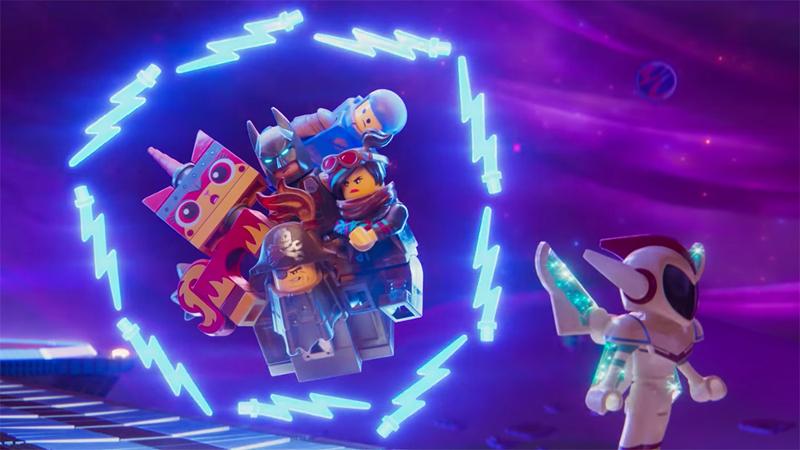 The one area that has been faultless throughout LEGO’s movie endeavours is audio, and the LEGO Movie 2 doesn’t disappoint. 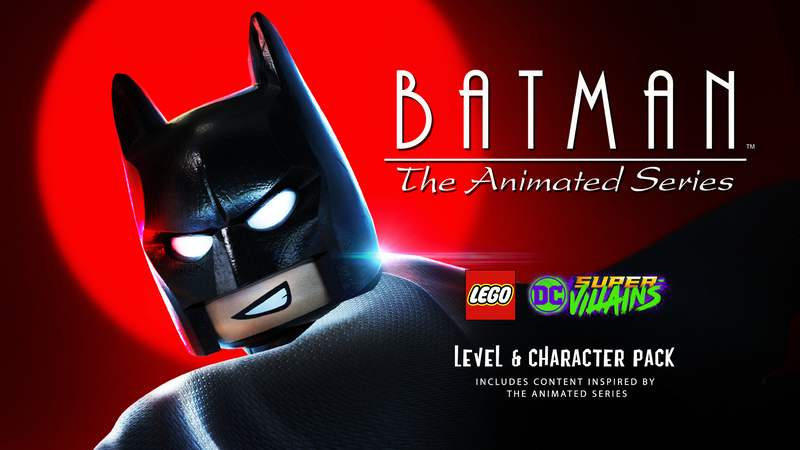 Once again Will Arnett has proven that LEGO Batman is up there as one of the very best renditions of the Dark Knight, and with Chris Pratt, Elizabeth Banks and the rest of the voice cast delivering their best throughout, there’s isn’t a pitch out of place. Thankful that is, as there is far more of a musical element to this movie with LEGO taking a page out of Disney’s book and including multiple original songs performed during its run-time – including a song solely engineered to get stuck in your head. While this might not appeal to everyone, the characters do, at least, poke fun at the lyrics throughout the sing-a-long. 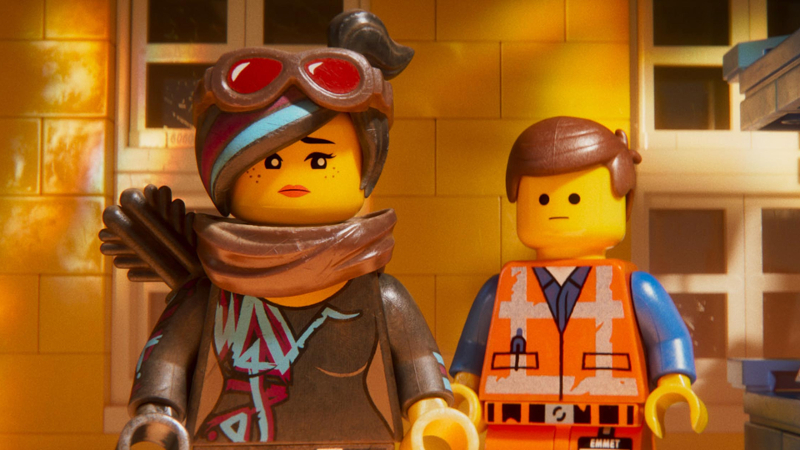 While The LEGO Movie 2 succeeds in recreating the fun, humour, and action of the first movie, it struggles with the emotional side, it feels like there’s something missing from Emmet and Lucy’s relationship with the viewer, there isn’t that same connection you get from The LEGO Movie’s ‘The Special’ story-line. Similarly, the aesthetics and the meta aspect with the real-world in the first movie have gone from brand new and unknown then to established and expected now. There isn’t that surprise factor anymore – though they do more than make up for that with plot-twists. Overall, these things won’t hinder the enjoyment of the movie, and younger viewers won’t even notice, but at a pinch, this sequel doesn’t quite measure up to its predecessor. Even so, everything is still very much AWESOME! Chris Pratt doing double-time as both Emmet and Dangervest – easily the best of the new characters. 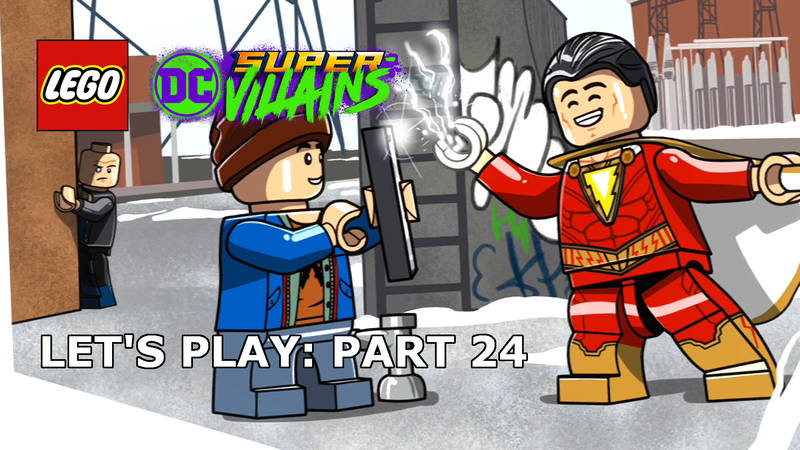 The seamless narrative switch from LEGO world to real-world. Faultless vocal work from all involved combined with a non-stop family-friendly action adventure. Lacks the emotional heart of the first movie. I had the pleasure of sharing this viewing with my five-year-old son on his first cinema trip and we were both glued to the screen for the entire run-time. That is what’s special about LEGO, it’s multi-generational, and this, like it’s predecessor, has once again captured that perfectly. Despite lacking the heart of the first movie, fun-packed action, wonderfully well-timed comedy, a couple of in-jokes for the older fans, and a likeable group of new characters all make this the perfect family movie.